Engage in regional projects involving the best agricultural practices, such as permaculture, biodynamic agriculture with vedic fire ceremonies to synthesize, so that the growing of food can maximise its potential. The aim of this is to ensure that the human being is not only fed physically but also energetically by food and that his or her vitality is built up. The projects consistently refrain from using genetically modified seeds, artificial fertilizers and, for the most part, machinery to maintain manpower. Potatoes in bags - a crazy idea? No. Balconies offer a wonderful space and have a great potential to cover part of a self-sufficiency strategy. Get involved in projects where you combine your existing knowledge and experiences on how you can achieve a productive cultivation on the balcony. Cities have many green areas and also areas that could be farmed in a positive and beneficial way. This allows regional products to be produced directly in the city. Organize projects in which communities specialize in ecological cultivation of green areas in cities. The regionally grown products could be sold on weekly markets. The income could be used for the realization of further projects. Many streets have a great potential for self-sufficiency. Often there is a lot of space available for ecological cultivation. Thus, neighbors with similar interests could join and transform their living environments in such a way that self-sufficiency becomes a part of a neighborhood concept. Cultivation and sharing is the motto. For example, some people could introduce beehives into their garden and could provide the inhabitants of a street with fresh honey. Others could keep chicken to provide eggs to their neighborhood. 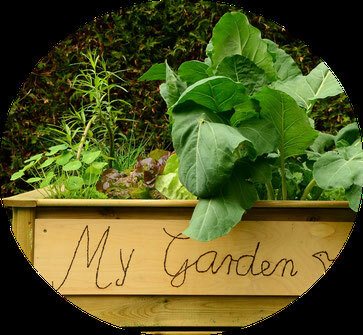 In addition, neighbors could cultivate a different variety of fruits and vegetables in different gardens to share them. Initiate projects that bring neighbors together and inspire and accompany them in the implementation process. Many people have large gardens. Sometimes they cover their gardens with lawn because they have no time and desire to use them for growing fruit and vegetables. A good way to change this is to open the gardens to trustworthy people who have the time and desire to strive for self-sufficiency. One person opens his garden for ecological cultivation - another person with passion works and takes care of it. At the end, the harvest is shared. There are studies showing that the Agni Hotra ritual, a Vedic fire ceremony, exerts an energetically harmonizing effect on the atmosphere. Fruit and vegetables develop harmonious structures on a cellular level and are of a high nutritional value energetically grown under these influences. With little effort, done daily in the morning and in the evening, the Agni Hotra is a wonderful method to have a beneficial effect on the atmosphere and to energize the food. Initiate projects in which the Agni Hotra ritual is practiced in connection with organic cultivation. Through our patterns of consumption we have great power to determine economic and environmental developments and trends on Earth. Demand determines supply. Many people are not aware of their consumption behaviour and haven't got the right background knowledge. Initiate projects and lectures which empower people to become conscious consumers. This way they will learn to influence developments on earth positively through conscious choices in their consumption patterns. Permaculture and biodynamic agriculture are two ecological and natural methods that work in harmony with the cycles of nature. They strive for a natural cultivation of fruits and vegetables without any chemical additives. Initiate projects and lectures, inspire and enrich other people with your knowledge. Use projects worldwide to help farmers, especially from poorer countries, with sustainable and ecological agriculture. Raise awareness of the necessity of ecological cultivation, educate people and offer them an opportunity for a regular source of income for themselves and their families. When growing our own fruit and veg, at some point the question arises how to make use of the harvest. Especially, when the crop is bountiful and it isn't possible to be consumed on one's own. It is self-evident to think of our fellow human beings and share some of it. But it could also be interesting to look into preserving and stocking produce in a healthy and delicious way. In former times, people used to have this knowledge and it is about time we got it back. If you are intrigued by this subject, you could organise talks to share this knowledge – old and newly found - with others.